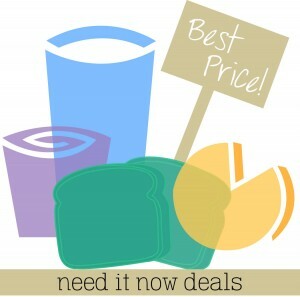 Check out the best deals on all the staple items that you need the most! Use this list to find the best deals at the stores closest to you! Find any more great deals? Leave a comment below to share with everyone! Whole Foods – Morrow Bay Avocadoes, $1.25 ea. HEB – Hass Avovados, 98¢ ea. HEB – Small Red Delicious Apples, 25¢ ea. HEB – Small Texas Oranges, 12¢ ea. Harvey’s – Pumpkins, $4.99 ea. Harvey’s – Cucumbers & Green Bell Peppers, 50¢ ea. Lowes – Limes, 33¢ ea. Lowes – Green Bell Peppers, 97¢ ea. Aldi – Pumpkins, $2.49 ea. Aldi – Pomegranates, 69¢ ea. Aldi – Pineapple, 99¢ ea. Sweetbay – Yellow Onions, 3 lb Bag, $2.50 ea. Sweetbay – Hass Avocados, $1.25 ea. Sweetbay – Royal Gala Apples, 3 lb bag, $3.99 ea. Bi-Lo – Green Onions, bunch, 59¢ ea. Food City – Broccoli Crowns, $1 ea. Food City – Green Onions, 50¢ ea. Food City – Radishes, 50¢ ea. Winn-Dixie – Winn-Dixie Hard Boiled Eggs, 6 ct.
Winn-Dixie – Cascade Dish Detergent or Action Pacs, 75 oz or 16-20 ct.
Winn-Dixie – Tide Pods Laundry Detergent, 40 ct.
Winn-Dixie – Sergeant’s Zoink Laser Fun n Run Toy for Dogs, 1 ct.